It's exciting! The Sport Stable is offering everyone the opportunity to learn how to drive the Zamboni! It's a long-awaited bucket list wish for many and the opportunity to actually get behind the wheel is exciting! 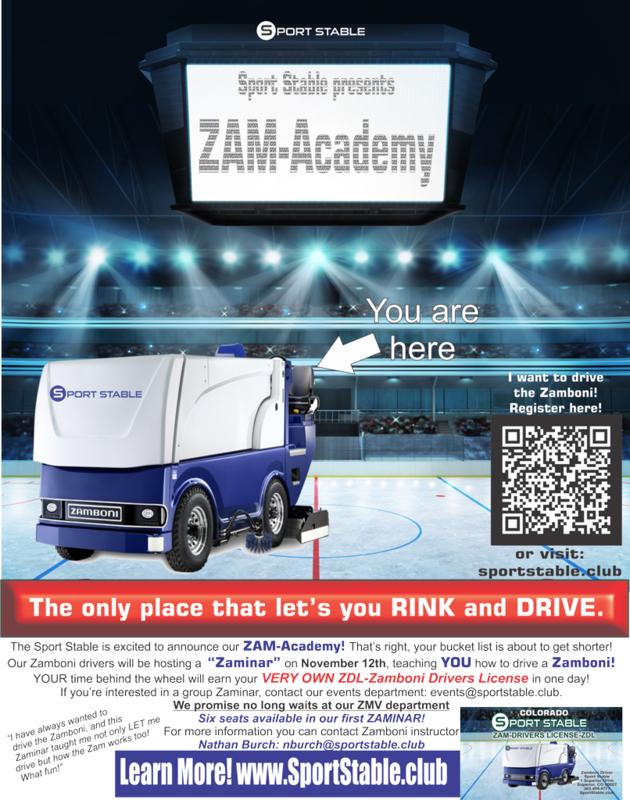 Grab your ZDL today and be a Zamboni driver! Your Zamboni drivers license awaits!